The Trash Stache or Pencil Mustache is actually one of the tidier mustaches you can grow. It does a great job of giving the upper lip a little more character, while not drawing away from the rest of your face. Closely trim or shave your cheeks and chin clean but allow the mustache to grow for a week or two. You need the mustache to extend just beyond the corners of the mouth. 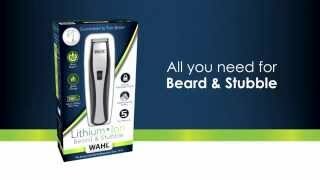 Once hair has reached a light but visible length, use your Wahl® trimmer to create a quarter-inch straight line of hair that tightly hugs the upper lip. The straighter the line you trim, the better. Continue to trim stubble or stray hairs in the area between the ‘stache and nose.